We hope you have been finding the mindfulness practice nourishing you over the winter holiday season. We will begin our sangha gatherings in the New Year again on January 10th. Please bring a yoga mat and blanket or shawl, for your comfort. Here is what is happening at Plum Village over the winter holidays. You might like to click on their choir from last year, singing some carols or check out the link for the 2017 schedule of retreats offered at Plum Village in France. Remember, there are many other Plum Village Centre’s around the world too. 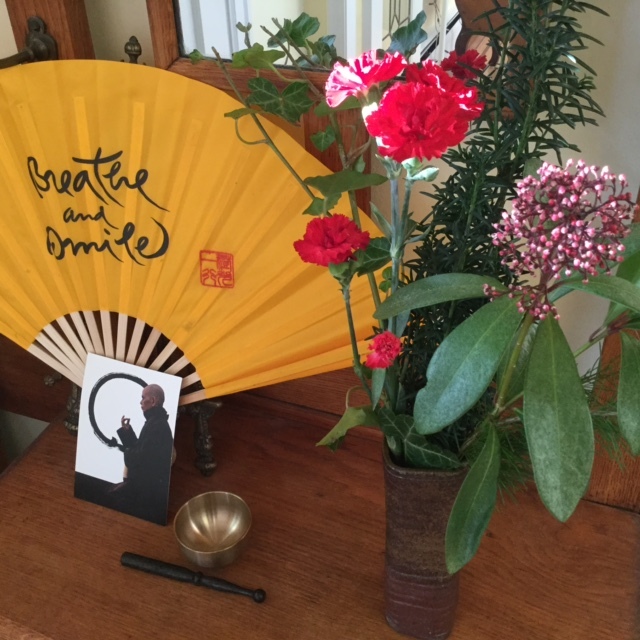 If you ever have the opportunity to visit one, you will feel and see the teachings that Thich Nhat Hanh has taught us, being continued in so many joyful ways. Please note: The Sangha will meet up to and in including December 13th and restart on January 10th.